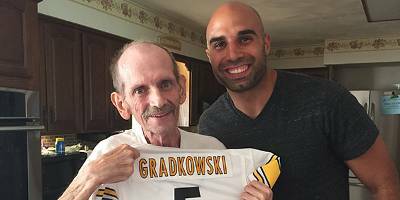 Steelers Players Can Be Heroes Too | "IT'S A STEELERS WORLD"! Being a veteran of the United States Marine Corps I often get called a “Hero”, as well as receive “Thank You” time and time again. The hero gets the response of “I’m no hero”.. while the thank yous get the ” No, thank you for supporting”. But other than our military, both veterans and active, there is another type of heroes that need recognition just as well. And that is the heroics of a few members of the Pittsburgh Steelers organization. Clyde Christy set a goal for himself months ago. To be able to walk his daughter Kaitlynn Shwallon down the aisle on her wedding day. And while serious health issues threatened it, he never gave up the dream. A few weeks ago, the dream became a reality. Christy walked her down the aisle with both the bride and dad wearing white. Dad’s, though, was just a little bit untraditional. He wore a white Bruce Gradkowski jersey. 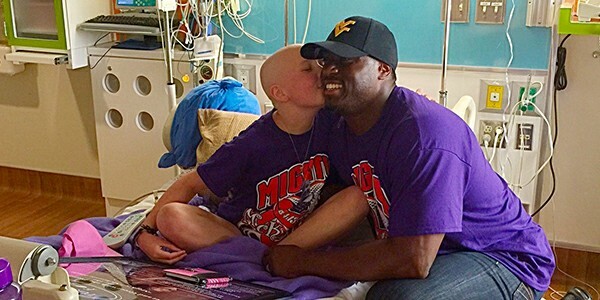 The three players teamed up with car dealership in Grafton, West Virginia to help a young girl fighting a courageous battle. McKenzie Flohr, 11, suffers from a rare form of leukemia and medical bills are piling up for her single father. When the story got out, people in Grafton knew they had to help, and enlisted Johnson who played at West Virginia University. Fans lined up over the weekend to donate and meet the Steelers trio, who raised over $6,000 in just two hours. And although some people may not consider this next player’s good deeds as heroic..I do. Because the mentoring and guiding the youth of today is much more important than many people may realize. 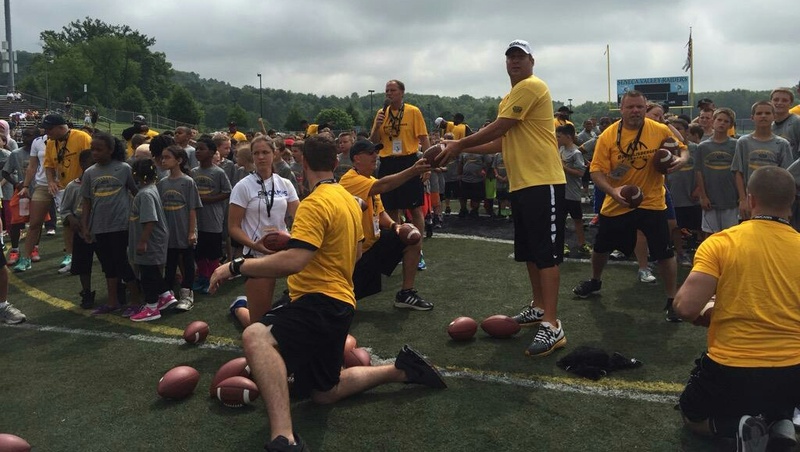 Over the weekend Roethlisberger had 400+ boys and girls attended his quarterback camp through Pro Camps. Now I had a little trouble dealing with 40 to 50 Marine’s at one time, and these were full grown adults. So if taking the time to teach young boys and girls to play the greatest sport on earth isn’t being a Hero..I don’t know what else is. And I am sure they are all thanking Roethlisberger in return. I could go on for a while longer with all the players in the Steelers organization that give back to the community in heroic fashion, but I will save that for another day. But they all get a “Great Job Men” coming from me. 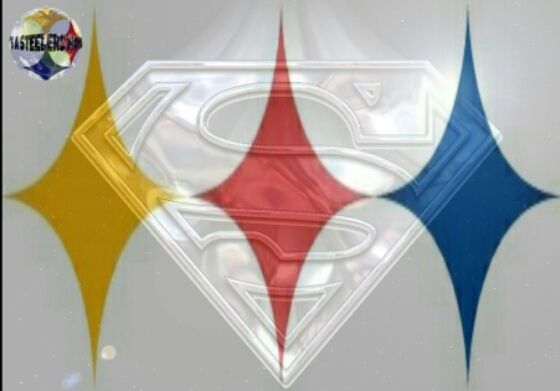 They all, including the entire team, make me proud to be a Diehard STEELERS Fan 4-Life.